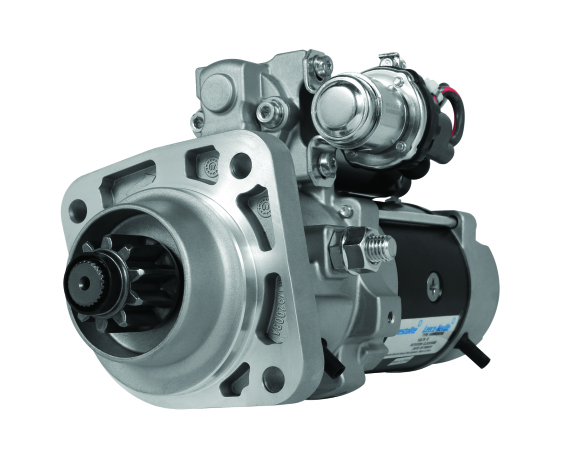 Medium-duty truck owners now have access to a new 12-volt, 4.5kW replacement starter from Leece Neville Heavy Duty Systems – the PowerPro Extreme 5. The motors support six- to 10-liter engines used in construction, fire and rescue, pickup and delivery, refuse, and school bus applications. Coming with a planetary gear reduction design, it’s available in 10- and 12-tooth versions and offers a premium replacement for engines including the Cummins ISB, ISC and ISL; International DT466E and DT570E; and MaxxForce DT, 9 and 10. A sealed, noseless design blocks dust, oil and other contaminants, while an integrated magnetic switch eliminates voltage drop. A soft start relay also protects the ring gear, the company says. It weighs in at 21.5 lb.